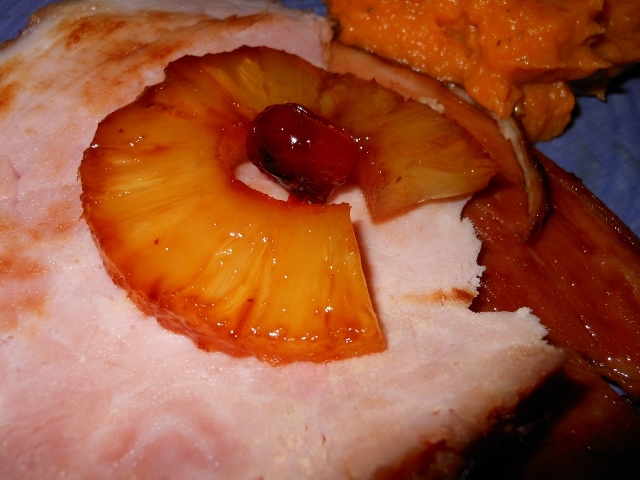 Baked ham is such a simple dish to make. It’s quick and virtually fool-proof. I am posting the delicious ham Charles made last night. We’d gotten some moonshine soaked cherries from my brother-in-law, Ernie, and thought we’d incorporate it into the ham glaze. Very tasty; could have used a little more cherries and moonshine I am sure! 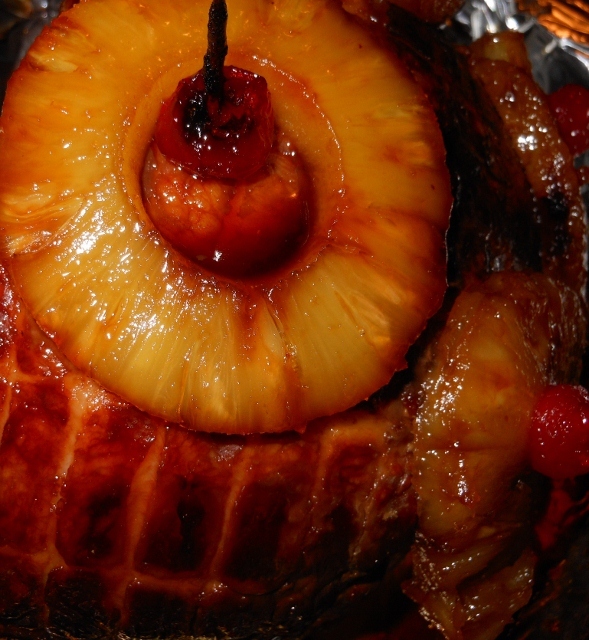 In roasting pan place ham and pin pineapple rings and some cherries to the outside. In bowl combine juice from the pineapple rings, dark brown sugar, and moonshine. Brush some of the glaze over the ham and place in 350 degrees oven and begin baking. Bake for about 1 hour and 15 minutes basting periodically; maybe every 15 minute or so.